Between 51st and 57th St in Midtown is a funny thing: a walkway that cuts through the belly of office buildings and leads off to sidewalks past stop signs, where vehicles must stop for you footfall. The signed “6½ Avenue” had been, according to this New York Times article, an “open secret” for years — but last year it became a city-sanctioned legit “street.” It’s kinda fun. Tagged secret. Bookmark the permalink. 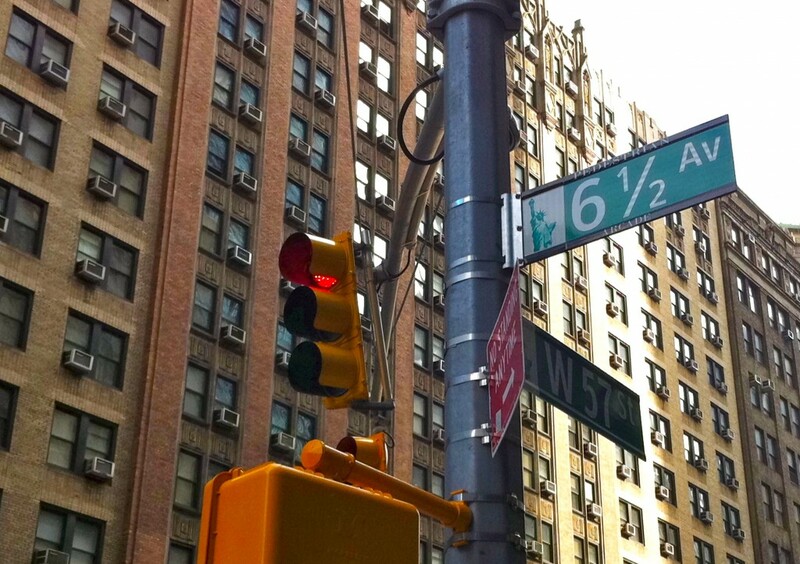 One Response to NYC Secret: 6½ Avenue!